Vice’s Collision Repair is a family-owned business proudly serving the Sacramento, CA area since 1995. Over the last 20 years, we have developed and maintained an impeccable reputation in our community for quality and customer satisfaction - separating us from the competition. At Vice’s Collision Repair, our competent, friendly, staff is well versed in all aspects of collision repair and is continuously trained to stay current in this evolving industry. Technicians undergo yearly training on the latest repair techniques while we upgrade our equipment to support their advancement. Our body shop proudly provides collision repair, painting, and restoration repairs for the Citrus Heights, Carmichael, Orangevale, North Highlands, Antelope, Foothill Farms, Fair Oaks, Roseville, Rocklin, Auburn, Granite Bay, Sacramento and surrounding areas. 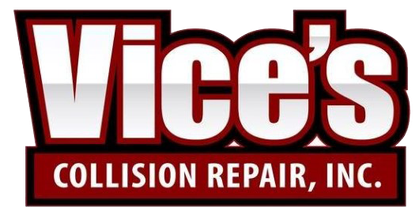 It’s your choice, so keep it simple with a company that can handle all your vehicle repairs and remember: At Vice’s, our only Vice is perfection! At Vice’s Collision Repair, we're proud to provide quality auto body repair to cars, trucks, SUVs, and hot rods of all types in the Sacramento, CA area. Part of the AAA Direct Repair Network, no other auto body repair shop services a complete line of vehicles like we do. Our Citrus Heights body shop has developed and maintained an impeccable reputation in the community for quality auto body repairs and customer satisfaction. We believe this is what separates Vice’s from the competition. So don’t take your car to just another car body shop in Sacramento or Citrus Heights. It’s your choice, so keep it simple with a company that can handle all your vehicle repairs! © 2019, Vice's Collision Repair. All Rights Reserved.